He was one of the Stoic philosophers. Epictetus taught that philosophy had to be more than theoretical; it had to be the way you lived your life. To him, external events were beyond one’s control and we should accept whatever happens calmly and dispassionately. However, individuals are responsible for their own actions, which they can examine and control through rigorous self-discipline. OPTIMISM – “He is a wise man who does not grieve for the things which he has not, but rejoices for those which he has. Yes, it would have helped me a lot to have considered thoughts like these when I was a teen. And teens can handle it. My belief is that adults should share this kind of wisdom with young people. I suggest that you share some of the quotes above with your child and perhaps talk about how they apply in their life. 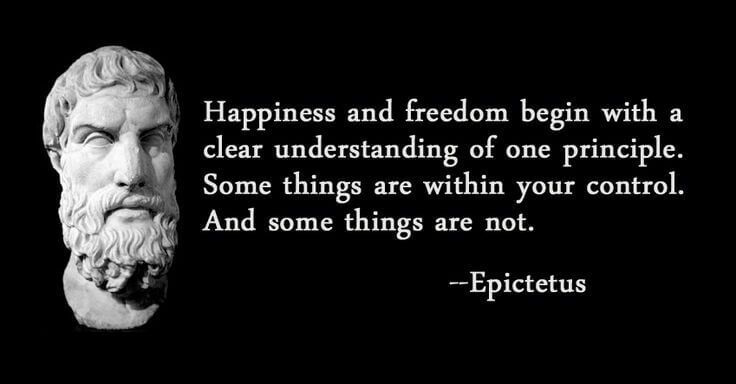 Of course, Epictetus is only one of hundreds of wonderful sources of wisdom These and over 3,000 other personally selected quotes are one of the many personal development resources featured in Strong for Life, the world’s premier virtual coaching system for teenagers. It’s worth checking out.